Andy and Crackers – 2nd Biathlon Jumpers; 1st Individual Agility; 2nd Individual Jumping; 5th Individual Gamblers; 4th Individual Snooker; 2nd All Around (combined score from 4 events). Courtney and Francine – 4th Biathlon Standard. Janet and Torrey – 5th Individual Agility. Marcy and Stripe – 1st Biathlon Jumping, 1st Jumping Triathlon. Tracy and Export – 3rd Individual Agility. Mike and Elsie – 5th Individual Agility; 5th Individual Gamblers. Dave and Boca – 2nd All Around (combined score from 4 events). Cynthia and Spice – 4th All Around (combined score from 4 events). Jody and Skillz – 3rd Biathlon Jumping; 5 Biathlon Agility; 3rd Biathlon (combined). Elicia and Tobie – 4th Individual Agility. Dudley and Bird – 5th Individual Jumping. Desiree and Pace – 5th All Around (combined score from 4 events). 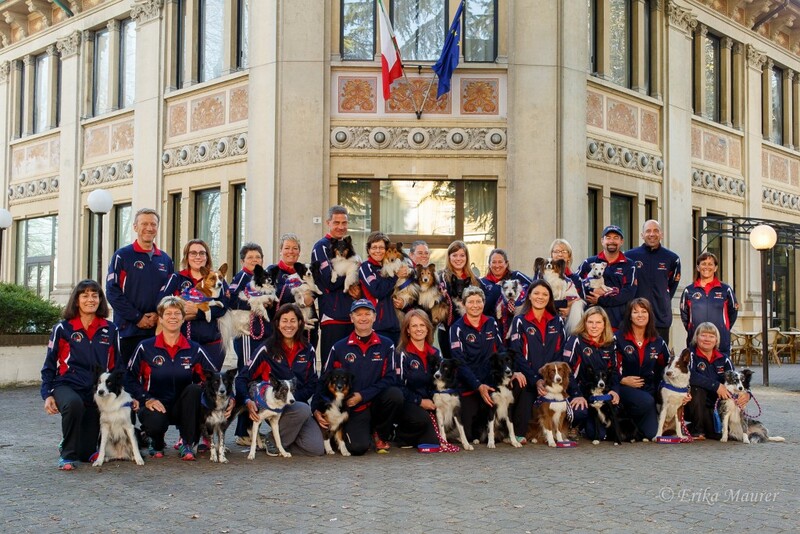 Team USA 2 – Silver Triathlon (team event). Team USA 3 – Silver Triathlon (team event).